The Supreme Court Thursday agreed to hear on April 8 a Congress leader's plea seeking deferment of release of a biopic on Prime Minister Narendra Modi till the completion of upcoming Lok Sabha polls saying it was designed to "manipulate, influence and impress viewers and voters". 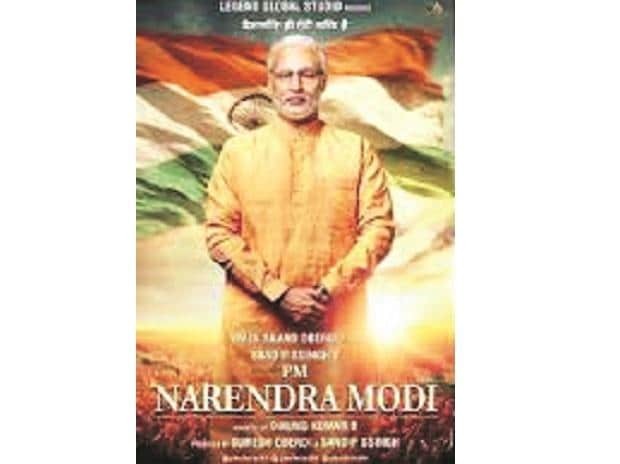 Titled "PM Narendra Modi", the biopic which was slated to be released on April 5, has been postponed till further notice, its producer Sandip Ssingh said on Thursday. A bench of Justices S A Bobde, S Abdul Nazeer and Indira Banerjee said it will hear the plea on Monday. Senior advocate Abhishek Manu Singhvi, appearing for petitioner advocate Aman Panwar, spokesperson of the Congress, said two high courts have refused to interfere with the release of the movie starring Vivek Oberoi. He sought urgent listing of the matter alleging that all four producers had "deep and pervasive links" to the Bhartiya Janta Party (BJP). Singhvi said that even Prasoon Joshi, Chairman of the Central Board of Film Certification (CBFC) is listed and credited as one of the artists, who worked on the film. The bench initially observed that it would not like to entertain a fresh petition and would like to hear the appeals of the high court order. Singhvi said that writ petition is filed as even the Election Commission has taken a stand in the Bombay High Court that it would not like to interfere with the movie's release. He submitted that the release of the movie may affect free and fair election as mandated in the Constitution and therefore they have moved the apex court by a writ petition. The plea sought direction from the court declaring that advertisement and promotion of the movie during the operation of the Model Code of Conduct violates electoral laws. It sought directions to the Centre, CBFC and EC to delay it release till the completion of the General Elections next month. The Indore bench of the Madhya Pradesh High Court had on Wednesday rejected a plea seeking ban on the release. The Bombay High Court had also on Monday disposed of a plea seeking deferment of the biopic's release, saying the Election Commission will deal with the issue. "The movie was driven by no artistic inspiration and was instead designed to manipulate, influence and impress viewers and voters in the upcoming elections," the plea said. It said that there were several facts which demonstrated that the movie was not an innocuous work of art, despite the repeated statements of the producers, the director and the lead actor to the contrary. "All four producers had deep and pervasive links to the Bhartiya Janta Party. In the case of four of the three producers, they were not mere sympathizers or supporters, but actual card carrying official members of the party in power with two of the individuals having held official posts in the party machinery," the plea claimed. It said that the Chairman of the CBFC is Prasoon Joshi, who is listed and credited as one of the artists who worked on the film. "In other words, the CBFC has acted as the judge in its own cause, (or alternatively, as a judge in the cause of its Chairman) thereby casting a pallor over its decision to be so liberal in its grant of permission for the movie to be released in such an expeditious manner," it said. The plea further questioned the desperate rush to script, shoot and release the movie in a hurried and clumsy manner to time it with the general elections is a fact admitted to by none other than the director of the biopic himself. It said that Maharashtra Chief Minister released the first poster of the biopic and BJP president Amit Shah, was also scheduled to release other similar promotional materials. "The direct association of the upper echelons of the BJP leadership in the stewardship and endorsement of the movie further diminishes the argument that it is an independent work of art produced as the realization of a long-standing vision," it said. The plea said that the Congress Party had approached the EC on March 25 after which a notice to the producers of the film was issued but since then there was complete radio silence. "While it may or may not be likely that such a hagiographic and sycophantic work will influence the voters, the precedent such a release sets will reverberate throughout the course of future elections," it said, adding that it is not an attempt to censor the movie but only to ensure that the Model Code of Conduct and other electoral laws are not violated.